We were somewhere over Eastern Europe when the Captain got on the intercom and announced that it was officially 2010. 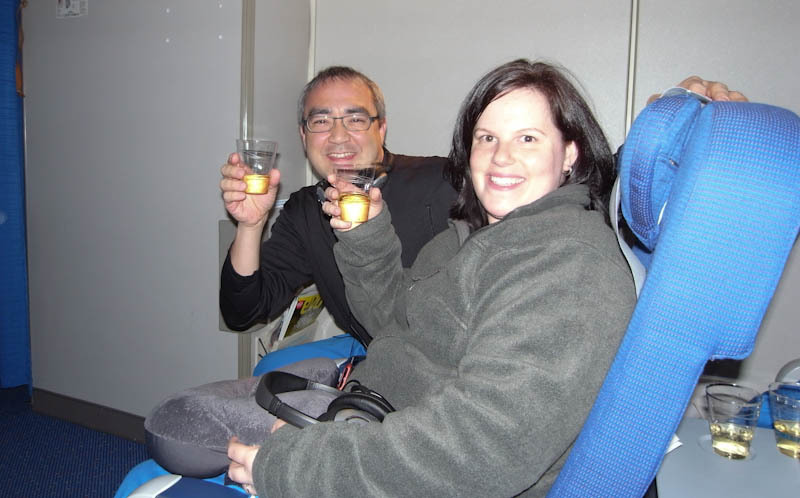 The flight attendants came out with champagne and everyone had a toast, and then in our case, quickly returned back to sleep. Where ever you were and who ever you were with Laura and I wish you a Happy New Year! A toast from the sky.